Back in 1988, The Cult performed on the late Joan Rivers late night talk show. They performed the song “Lil Devil” from their badass album Electric, along with “Born To Be Wild.” The band joins Joan on the couch for an interview and Ian’s father calls in to wish Ian a happy birthday. I still think The Cult are one of the most underappreciated rock bands ever. They continue to put out quality rock albums like Born Into This, Choice Of Weapon and Hidden City. I highly suggest you taking a listen to those and adding them to your collection. I had a weird thought last night. How about compiling a list of all the BEST bands out there that start with the word “The.” This should be fun. As always, your input is more than welcome. This list is in No Particular Order!! Way back when I was a little lad I remember seeing the video for The Cult’s “Fire Woman” and thinking that the guy singing was outstanding. So naturally I had my parents take me to go buy their album Sonic Temple. Over the years I’ve really noticed I love Ian Astbury’s voice. In the past few years The Cult has come back and are delivering the goods. Their last two albums, Choice Of Weapon and Hidden City are fantastic, and have that classic edge the band has always had. Ian’s voice has always been distinct and when you hear it on other band’s songs, it brings something special out of those songs. Here are a few songs that Ian has guested on over the years. My brain works in strange ways at times. I think of silly lists in my mind then start to really analyze them. Earlier in the week I had an idea while gazing through my music collection at home about how many self titled albums there are. Which then made me think how many of those are really that good. Well here is a list of the best self titled albums. This list is in NO PARTICULAR ORDER. After the year we just had in 2015 with new music releases, 2016 is shaping up to be one hell of a year for new music. Here are the bands with the most anticipated albums coming out in 2016. There are lots of bands out trying to do the whole stoner/sludge rock thing. Few can really do it justice. Enter Interstelar who can. 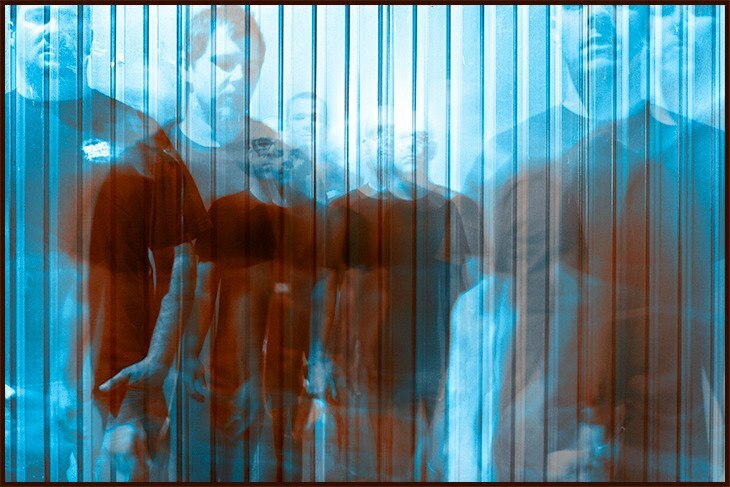 Formed in 2010 in Los Angeles this group of guys have taken their influences of Kyuss, The Cult, Black Sabbath and mixed it with a bit of shoe gaze a la My Bloody Valentine. They released their debut EP in 2011 and are currently recording for a new release with Warren Riker (producer of Down 1-3). Musically they show how tight they are. The guitar tone is not so dirty that you can’t hear the notes, and the solos are intricate yet simple as to not take away from the rhythmic nature of the genre. The bass tracks blend perfectly with the drums. Vocally there are times as though Ian Astbury and Maynard got morphed into one. Their new track Hold It takes them up a notch and shows their craft as songwriters and has a bit more melody. Interstelar are one band in the genre that should not go unnoticed! The Cult formed in 1983. They melded their love for Led Zeppelin, The Doors and assorted Post Punk bands such as Joy Division to create a heavy mystic sound. 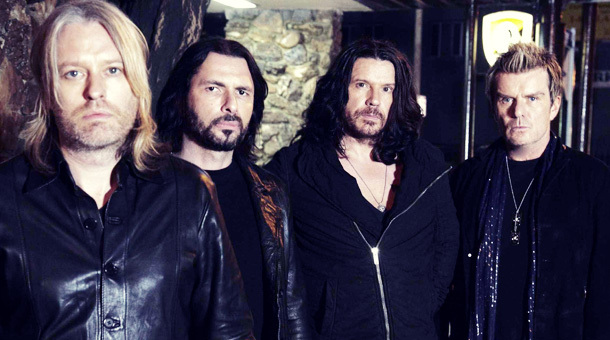 Ian Astbury and Billy Duffy have been the most consistent members since the inception of the group. They gained notoriety for songs such as “She Sells Sanctuary” “Love Removal Machine” “Fire Woman.” They have created 3 of the most underrated albums in all of hard rock, Love, Electric, and Sonic Temple and have left a distinct mark with each of them. In 1995 the band split for a period of time to work on themselves and came back with a rocking album in Beyond Good and Evil featuring the songs “Rise” and Painted On My Heart (which appeared on in the movie Gone In 60 Seconds). After the release and tour the band took a break again with Ian joining the remaining members of The Doors to play shows. Billy went on to form other bands that while were good, failed to leave any mark on the landscape as The Cult did. In 2006, Ian and Billy got together again to record the album Born Into This. 2012 saw the release of Choice of Weapon. This album is one of their best ever. It’s up there with Electric and the songs themselves are awesome. Ian Astbury’s vocals, lyrics and stage presence are all things that so many people and other bands have tried to replicate. While some of what Ian does is similar to that of Jim Morrison, Ian took it to another dimension and explored deeper into his own internal struggles to connect with the mysticism that he was involved in. Billy Duffy has a very distinctive guitar tone that has a nice reverb to it all the while packing a punch. The clean sensibilities of his guitar work show the soul of the music. Live, The Cult are captivating and hypnotic. Watching Ian on stage is intense as he gets so into the show and hardly interacts with the crowd. Billy strums like a madman. Completing the lineup for live show is John Tempesta on drums and Chris Wyse on bass. Listening to The Cult and then listening to so many bands that have come up in the past 10 years like Mastodon (yes them), Queens Of The Stone Age and others, you can hear the influence.